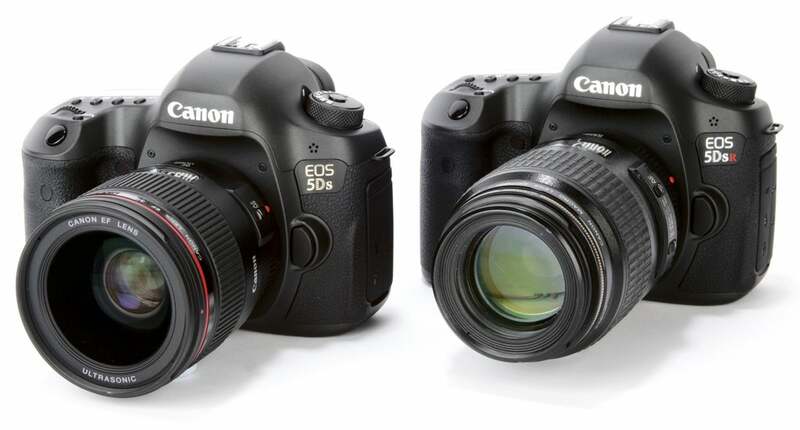 The new pair of Canon high-resolution cameras, the EOS 5DS and EOS 5DS R, are now available in shops, and for the first time the company will be able to judge the real consumer demand between the two variants. The two cameras differ in their configuration of the anti-aliasing (AA) filter, the relationship between them being the same as that between the Nikon D800 and D800E. The 5DS has a conventional anti-aliasing filter, while the 5DS R has an AA filter configured in such a way that it has little or no effect. The reason for adopting this solution is that it simplifies production planning. In brief, modern sensors usually have the back element of the anti-aliasing filter acting as the cover glass on the sensor package, which produces economic and packaging benefits. The ‘cancelled’ AA filter allows a single type of sensor to serve both versions of the camera, which allows much more flexible production planning – otherwise two versions of what is the most expensive single component in the camera would need to be stocked. This discussion is, however, more to do with market intelligence than technical issues. Flexible production planning is desirable because market information is not perfect, and when a manufacturer decides to make two versions of a product it has to plan for the different quantities of each. When Nikon introduced the D800 and D800E, it was expecting a much greater demand for the D800 (and it is the one I bought, since I really don’t like aliasing artefacts) than for the D800E. As it turned out it got that decision wrong, and demand for the ‘E’ model was significantly greater than for the D800. During the two-year product lifetime of the cameras, Nikon adjusted the relative quantities and ended up producing more D800E cameras – so much so, that when it produced the D810 it didn’t bother with an AA filter version. Canon, however, has followed the lead of the original Nikon release and produced a pair of cameras. Once again, its marketing intelligence has suggested that there should be a preponderance of the standard model. Presumably, it’s using the logic that if a camera already has a 50MP sensor, asking for the additional resolution given by removing the AA filter is just having your cake and eating it. So, has history repeated itself? It would appear so. Initial anecdotal reports seem to indicate buyers showing a preference for the ‘R’ version, which has been selling out as soon as it hits the shelves, while the standard camera stays on the shelves somewhat longer.